Fred Kaplan is Director at Mazars USA LLP, the interna- tional Accounting, Tax and Advisory firm. As a Controller, Chief Financial Officer, and Management Consultant, Fred has worked with numerous businesses in the region. He received his certification as a Certified Business Manager from the Association of Pro- fessionals in Business Management. Fred’s consulting has focused on profit improvement and financial operations manage- ment, leading Management Consulting Services for two other accounting firms. In 2010, he founded Kaplan Financial Consulting Group LLC, advising businesses on their appropriate financing structure and brokering loans from a network of conventional lenders and alternative finance companies. He served twice as President of the Philadelphia Chapter of the Institute of Manage- ment Consultants USA in 1998-2001 & 2008-2010, and is a Past President of the North Penn Chapter of the Institute of Management Accountants. 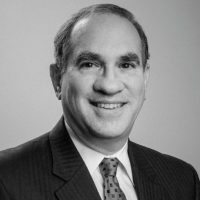 He is the current Chair of the Financial Executives Subgroup of the Greater Philadelphia Senior Executive Group, an elected member of the Board of Governors of the Drexel University Alumni Associa- tion, and an appointed member of the Advisory Board of the Philadelphia-Israel Cham- ber of Commerce. He is an active member of several professional associations, such as the Association for Accounting Marketing, Mid-Atlantic Food Trades Organization, PA Restaurant & Lodging Association, Cornell Real Estate Council, Philadelphia Franchise Association, and Toastmasters International. Fred is also active in several community and civic associations. He is an elected Trus- tee of the Golden Slipper Club & Charities, recently completing a two-year term as President of Golden Slipper Camp, a non-profit summer overnight camp in the Po- conos. He has been a youth coach for the Upper Dublin Soccer Club, the Upper Dublin Junior Athletic Association, and Ambler Junior Baseball. A former varsity soccer player for Cornell University, he remains engaged as an alumni interviewer for Cornell undergraduate admissions and membership in the Cornell Club of Greater Philadelphia. In 2006, Fred represented the USA in Sydney, as a member of the Masters Soccer team in the Maccabi Australia International Games, an international competition for Jewish athletes. Fred received a B.A. in Economics from Cornell University and an M.B.A. in Finance from Drexel University. He has taught as adjunct undergraduate faculty at Penn State- Abington (Introduction to Finance) and graduate faculty at the Keller School of Man- agement of DeVry University (Financial Accounting). He frequently addresses business and professional groups on the topics such as Alternative Finance Solutions, Building a Referral Pipeline, Becoming a STAR Professional and Preventing Lapses in Ethical Be- havior. He and his family reside in Maple Glen, PA.